Portsmouth Communications has extensive experience in providing underground and overhead premises cabling solutions. Our survey and engineering team have the expertise to plan and organise underground duct installation including footway and joint box building. Using specialist equipment our cabling teams can provide any type of communications link including standard telephony, fibre optic and copper network cabling. Recent projects include the planning and installation of a new duct network together with telephony and fibre optic cabling for the St. Richards Hospital, Chichester “re-build”. Our highly experienced telecoms team also successfully managed the transfer of the telephony circuits and data network connections to the new cabling scheme with zero downtime – allowing our customer to continue to operate their business without any interruption. 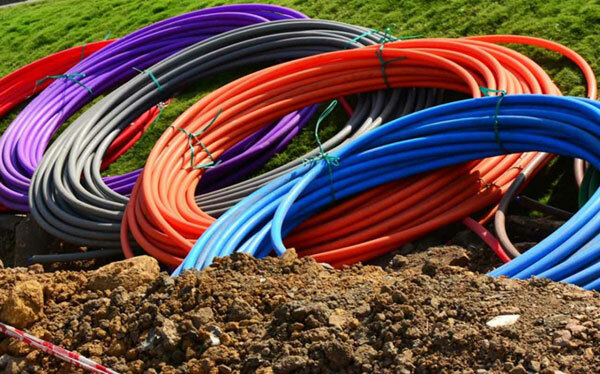 Our largest fibre optic underground cabling project was for a major salad producer in West Sussex and involved laying over 2 kilometres of armoured single mode fibre optic cable. Combined with our other capabilities in telephony and network cabling Portsmouth Communications have the expertise to provide a complete solution whatever the size of your organisation. Why not speak to our Technical Team about the Specialist Cabling Solutions available. Prefer to talk to someone? Give our expert sales team a call and they will be happy to answer any and all of your cabling related questions.